In celebration of its 200 years, Trinity Cathedral is pleased to present a bicentennial speakers series featuring nationally renowned thought leaders in the beautiful nave of the cathedral. 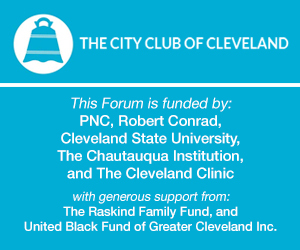 Held throughout the 2016-2017 program year, these intimate forums will be geared toward an intergenerational audience. Speakers will cast a vision for an inclusive future where divisions are overcome by affirming abundance in the midst of scarcity, faith in the context of pluralism, and unity in a world of diversity. Join us for the second event in Trinity Cathedral's A Future that Belongs to Us All national speaker series, a conversation with Imam Feisal Abdul Rauf, Founder and Chairman of the Cordoba House, and The Very Rev. Tracey Lind, Dean of Trinity Cathedral.